One thing that drives me insane personally is when I feel like I am not recovering or progressing fast enough. And the problem with that is I feel like the more I stress about not going anywhere fast enough, the farther behind I fall. There is a song by Bone Thugs N Harmony ft Akon (i believer) called I tried. I remember being in 9th grade and being obsessed with this song. It says, ’10 steps forward and 5 steps back’ This single line….sums up my thoughts on my anxiety journey. Just when I think I am getting somewhere… I fall further back. One thing that I am actively trying to understand and practice is…your speed doesn’t matter. How fast it takes you to get a hold on your illness isn’t relevant. Even though I wish here was a fast forward button on recovery, there isn’t. 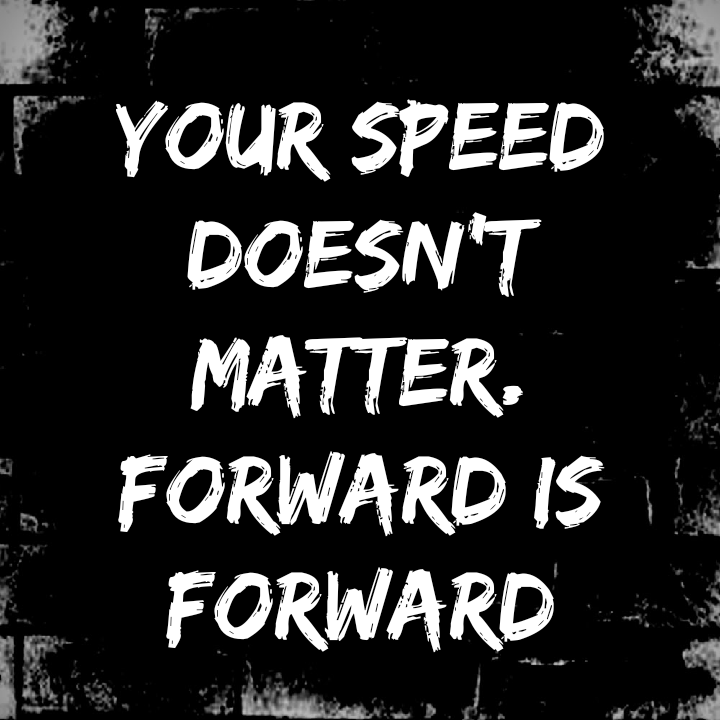 Forward is forward. Anxiety isn’t something you out grow. Its not something that goes away. It is a life long journey learning how to control it.